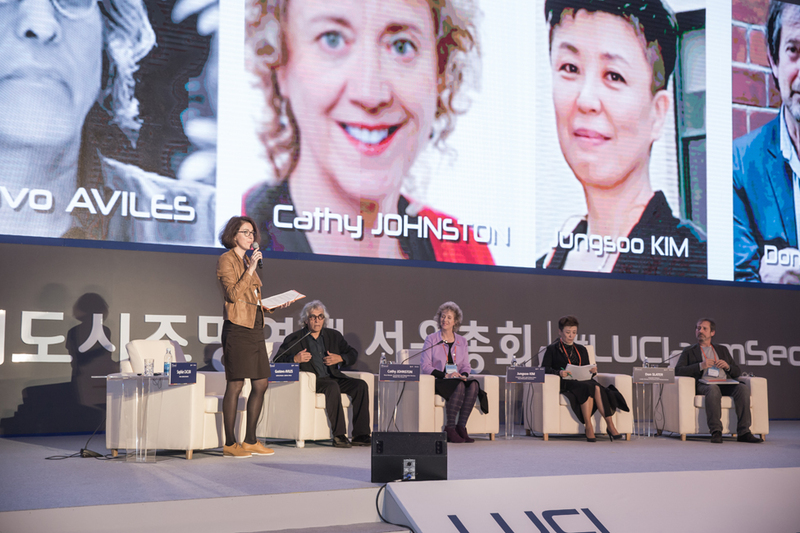 Over 700 city representatives and lighting professionals from around the world came together at the LUCI Annual General Meeting 2016 which took place from the 2nd to the 6th of November 2016 in Seoul, South Korea. 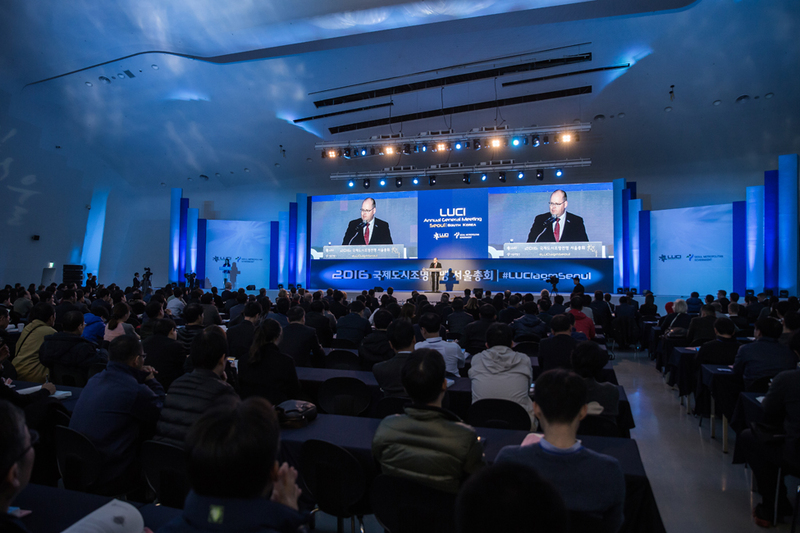 The event, which was opened by the Mayor of Seoul, Wonsoon Park, was a milestone for the LUCI network, unveiling a series of initiatives marking new steps for LUCI as well as the host city Seoul, which is at the pinnacle of its urban development and lighting strategy. 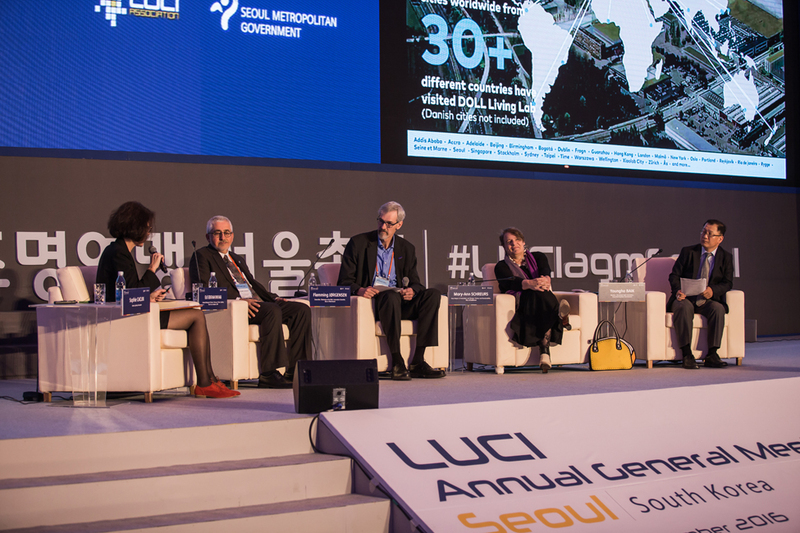 The City of Seoul presented its urban planning and lighting policy – including how it develops and manages its urban lighting – addressing topics such as enhancing historical and cultural heritage, reducing light pollution, building a smart city, amongst others. As Seoul has one of the highest levels of light pollution in the world, this is a strong focal point of the current lighting strategy and strict measures are now in place to reduce light pollution as much as possible. Other highlights included the ambitious Seoul Station 7017 project which aims to transform and regenerate a major city centre overpass into a pedestrian promenade, as well as the city’s Euljiro project which revived this once bustling area using light art by local students. The City of Seoul welcomed participants on a grand scale with an exceptional evening and side programme displaying local lighting culture. 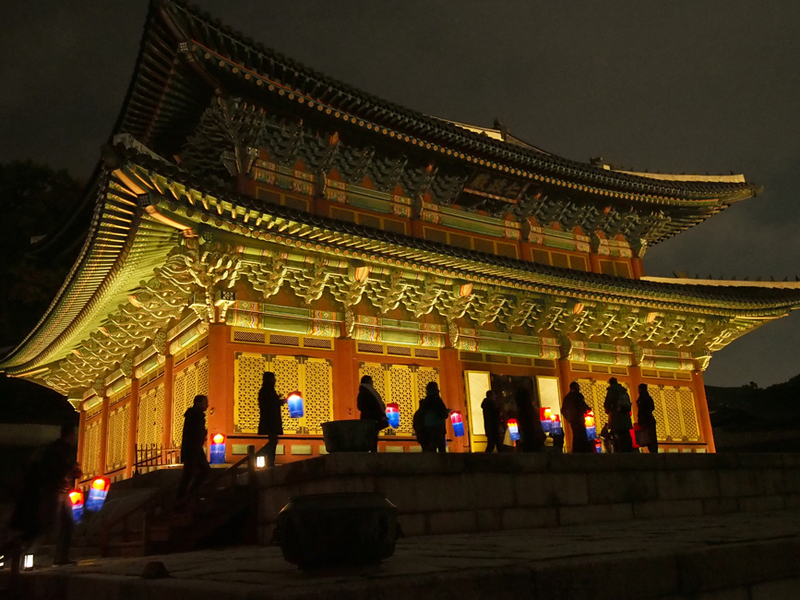 This included an exclusive night-time tour of the Changdeokgung Palace which was a unique opportunity for visitors and locals alike to see the delicate and subtle illumination of one of South Korea’s most important historical sites. In addition to the innovative temporary light art installations by local artists that were on view throughout the city centre, participants had the chance to experience the popular Seoul Lantern Festival which creates a unique ambience with traditional lanterns floating down the Cheonggyecheon stream in downtown Seoul. A panel discussion on social lighting as a tool to improve quality of life in cities addressed how light has an impact on both individual behaviours and social development of the city. Featuring four panellists with different backgrounds – Cathy Johnston from the Development and Regeneration Services at Glasgow City Council, lighting designers Gustavo Aviles from Mexico City and Kim Joeongsu from City of Seoul, and Associate Professor Don Slater from the London School of Economics and political science (LSE) – the discussion explored the meaning and scope of “social lighting” and emphasised the necessity of multidisciplinary collaboration and research to feed into night-time urban planning and lighting policies. Smart lighting, which is one of the key issues for cities today, was discussed with pioneers in the domain such as the City of Los Angeles represented by Ed Ebrahimian, the City of Eindhoven with its Vice-Mayor Mary-Ann Schreurs, the City of Seoul with Youngho Baik, and the City of Albertslund, with Councillor Flemming Jørgensen. The session addressed how smart lighting can enhance the connected city of tomorrow, the needs of cities in terms of smart lighting technologies and the challenges they are facing today. While points of view differed, it was clear, that whether big or small, cities have a lot to gain from smart lighting, but that they can’t do it alone – they need to start working together with many other stakeholders, such as universities, companies and research institutes, to ensure successful and meaningful innovations for their citizens. A detailed report of this discussion will also be published soon. The AGM Open Conference sessions featured projects from over 18 cities and organisations such as Amsterdam, Glasgow, Gothenburg, Helsinki, Jyväskylä, Los Angeles, Oulu, Osaka and Paris. The sessions addressed a multiplicity of topics related to urban lighting, from smart or intelligent lighting initiatives and research, through to strategic light planning creating coherent cityscapes, to light and art in the public space. The LUCI General Assembly on the 3rd of November 2016 also saw the election of a new LUCI Executive Committee and Board. The City of Eindhoven represented by Mary-Ann Schreurs was elected the new President of the LUCI network on 3 November 2016 and the City of Seoul was elected Vice-President of the network. The City of Lyon was elected to be the 2nd Vice President and the City of Jyväskylä was elected Treasurer. The City of Albertslund was the new city elected to enter the LUCI Executive Committee. Adopted on 4 November in a ceremony chaired by the President of LUCI, Mary-Ann Schreurs, the Vice-Mayor of Innovation and Design, Culture and Sustainability of the City of Eindhoven, and the Mayor of Seoul, Won Soon Park, the Seoul Declaration of LUCI affirms that light makes a critical difference to our quality of life. It also reaffirms the principles of sustainable urban lighting in line with the LUCI Charter on Urban Lighting adopted in 2010. 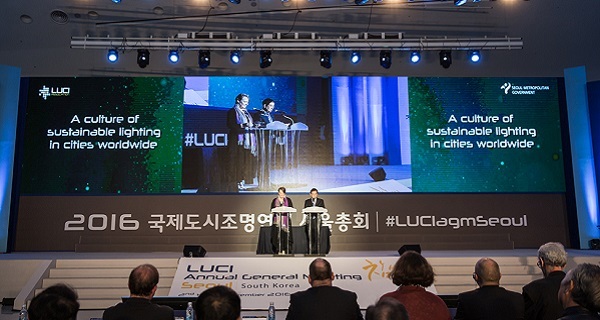 Based on the key values of the LUCI Strategic Plan [2017-27] agreed at the AGM in Seoul, the Declaration also includes the establishment of the first LUCI Regional Office, one for Asia, in the city of Seoul. This Regional Office for Asia will support a more balanced regional development of LUCI and reflect the lighting culture and identity of Asian cities in the global conversation on urban lighting.